Will you need ETIAS or a Schengen Visa to travel to Europe, starting from 2021? ETIAS stands for European Travel Information and Authorization System. 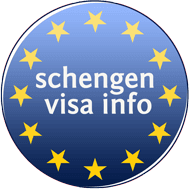 It is a completely electronic system which allows and keeps track of visitors from countries who do not need a visa to enter the Schengen Zone. The legal procedures to pass the ETIAS have started in 2016, and the system is expected to be in place by 2021. The ETIAS authorisation is not a visa. A very detailed information about ETIAS can be found here. We have developed this form, so you can check if you will need to apply for an ETIAS Authorization or a Schengen Visa before traveling to Schengen Area. Will you need ETIAS to travel to Europe, starting from 2021? Since you do not hold a citizenship of a country that has visa facilitation with Schengen, you are required to apply for a Schengen Visa. A Schengen Visa allows you to stay for a maximum of 90 days in every six month period starting from the date of entry and you can only engage in business and tourism activities. Since you hold a citizenship of a country that has visa facilitation with Schengen, starting from 2021, you can travel across the Schengen countries with an ETIAS. During these 90 days, you are not allowed to work or study, but can engage in business and tourism activities. You don't need ETIAS or a visa! You can travel across Europe without an ETIAS or a Schengen Visa! You could potentially need ETIAS! As of now, it is still unclear how traveling for Britons will be arranged in a post-Brexit Europe. The UK and EU will be negotiating about the free movement of people, and there is a possibility that the outcome would be: ETIAS for UK citizens!